I could write songs and sonnets about my affection for crayons. I’m smitten, and I have been since before kindergarten. There’s a special place in my heart for a new box of crayons. The cleverly named colors, even the waxy smell … the endless possibilities very nearly intoxicate me. The great news for girls like me is that coloring isn’t just for kids anymore — and even simple coloring can be an act of worship. I recently dove into a new readable coloring Bible, and it’s changing the way I read Scripture. As I opened the pages, I found a beautiful invitation to meditate on the Word of God. The words of Scripture are the living words of God (Hebrews 4:12), and they hold eternal wisdom. God wants us to dive into His Word, to discover the rich treasures of truth about Him and guidance for our daily lives. The problem I’ve found, and maybe you have too, is that it’s so hard for me to actually slow down. Meditation simply can’t be done in a hurry. Meditation is a blend of studying, rereading, repeating, thinking, analyzing, investigating and enjoying the Word of God. It’s a physical, intellectual and emotional activity that welcomes every part of our being. The practice of meditation doesn’t fit well into the pace of our culture, let alone my busy life. It’s a challenge to overcome the obstacles of busyness and distraction to welcome the space meditation requires. Enter coloring. The psalmist writes in today’s key verse that to meditate is similar to how one would “chew on” something — letting God’s truth into our lives and digesting it into our system. “Instead you thrill to GOD’S Word, you chew on Scripture day and night. You’re a tree replanted in Eden, bearing fresh fruit every month, Never dropping a leaf, always in blossom” (Psalm 1:2-3). 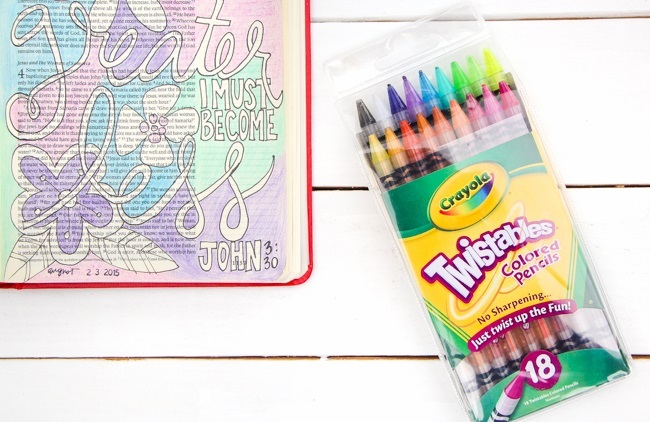 Coloring is an activity often associated with children, so as we grow older, it’s easy to set aside our crayons and colored pencils in lieu of more sophisticated tools, like pens and highlighters — especially for Bible study. But I’ve learned coloring can be beneficial for adults, creating a sense of wellness, quietness and even meditation. The reason? Coloring has a natural de-stressing effect. When I focus on what my hands are doing, I lift my focus away from busyness and worry. The same is true when I focus on the words of God. The end result is meditating on Scripture helps me quiet my mind and my spirit. When I settle into a book of the Bible, a page or even a single verse, I can find stillness, meditation, trust, peace and creativity, all centered on the Word of God. There’s no way to avoid the strife and turmoil in the world around us, and it’s so very difficult to step away from the busyness of everyday life to focus on God and His Word. But, the Lord promises to meet us there, restore our peace and give us a steadiness and sense of stability that only comes from Him. Dear Lord, thank You for gifts of color and beauty in the world you’ve created. Thank You for giving us Your Holy Word, a book that gives us every truth we need. Please, Lord, help me to slow down to create the space that meditation requires, so I can fix my thoughts on You. Grant us Your perfect peace. In Jesus’ Name, Amen. Coloring and journaling Bibles can help create space to meditate on Scripture. The Message Canvas Bible uses the vivid language from Eugene Peterson’s popular translation and pairs it with beautiful hand-drawn illustrations and hand-lettered verses. Seven illustrators from five different countries around the world help bring out Scripture’s incredible beauty. Learn more or get your pick of two covers at TheMessageCanvas.com. 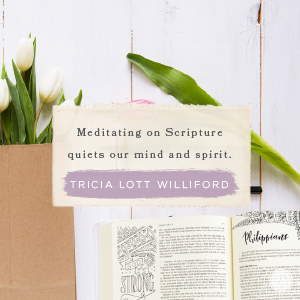 Connect with Tricia Lott Williford for more inspirational ideas on her website. 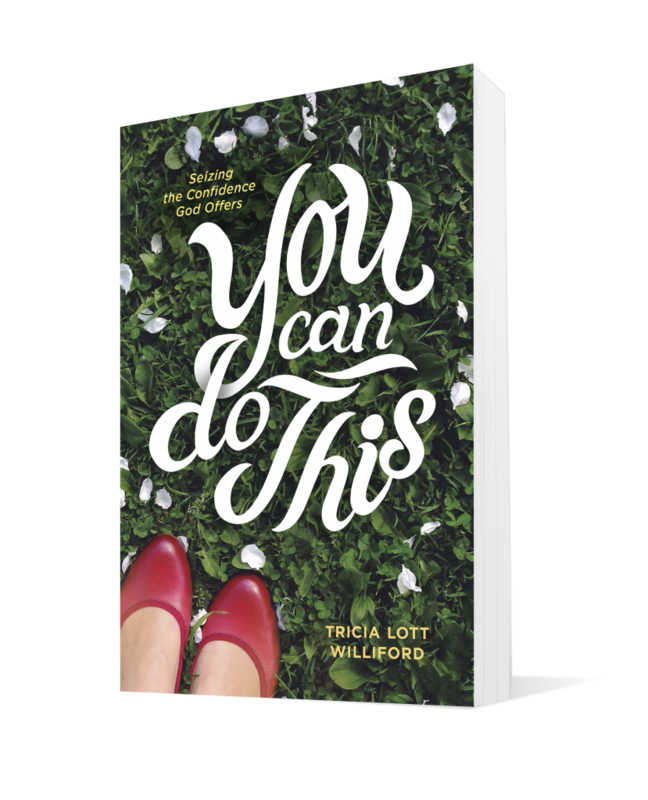 Her new book You Can Do This will be the confidence booster you need no matter what circumstances you are wrestling with. 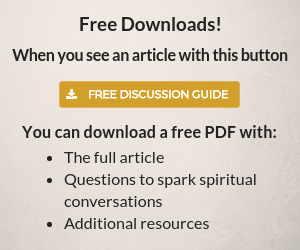 Start reading for free. Don’t miss the beauty God has created all around you. Reflect on the past 24 hours. When did you catch a glimpse of beauty? Take a minute to thank God for giving you that gift. This post by NavPress author Tricia Lott Williford was originally published on Proverbs 31.